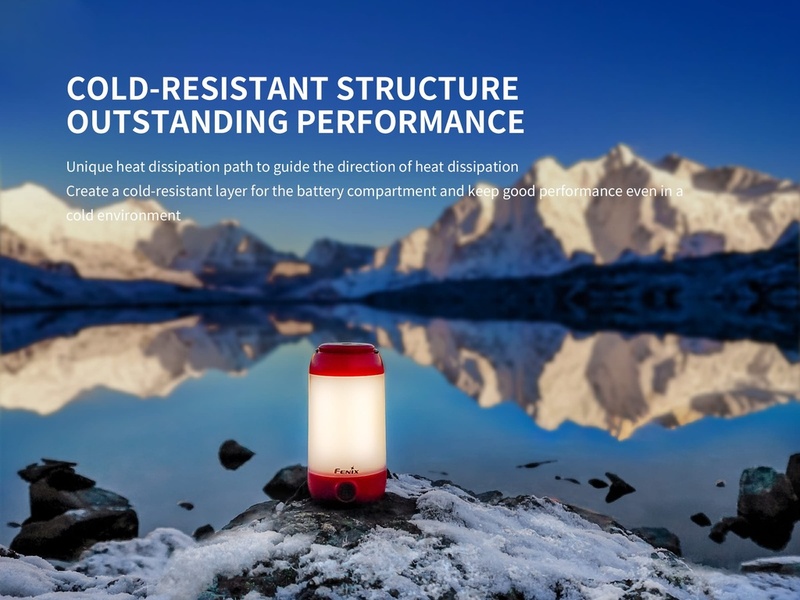 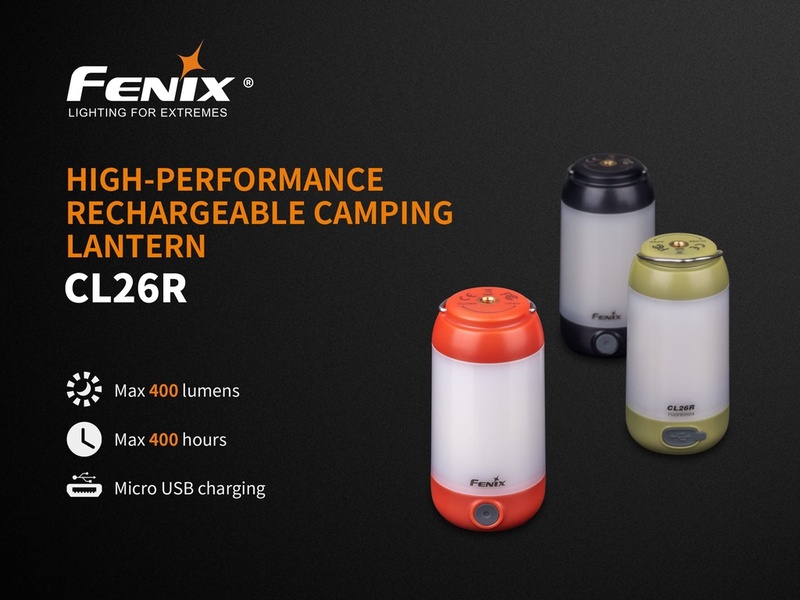 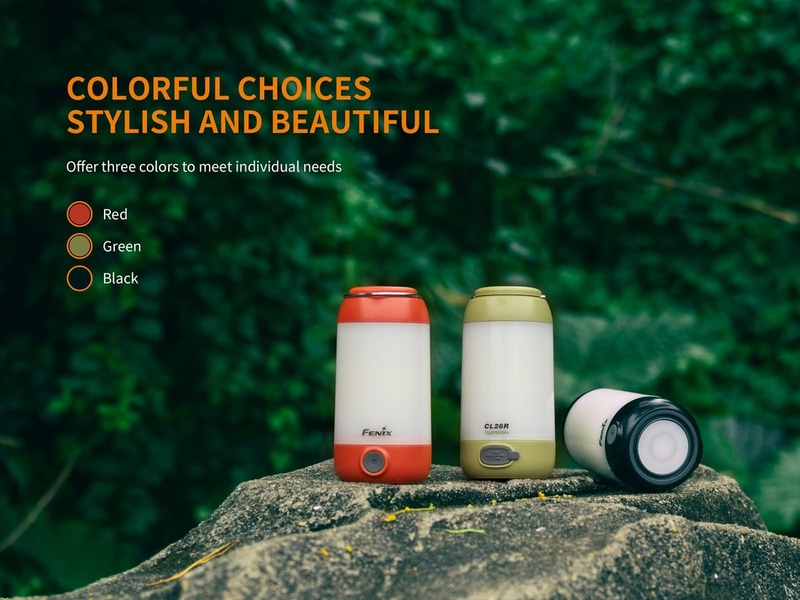 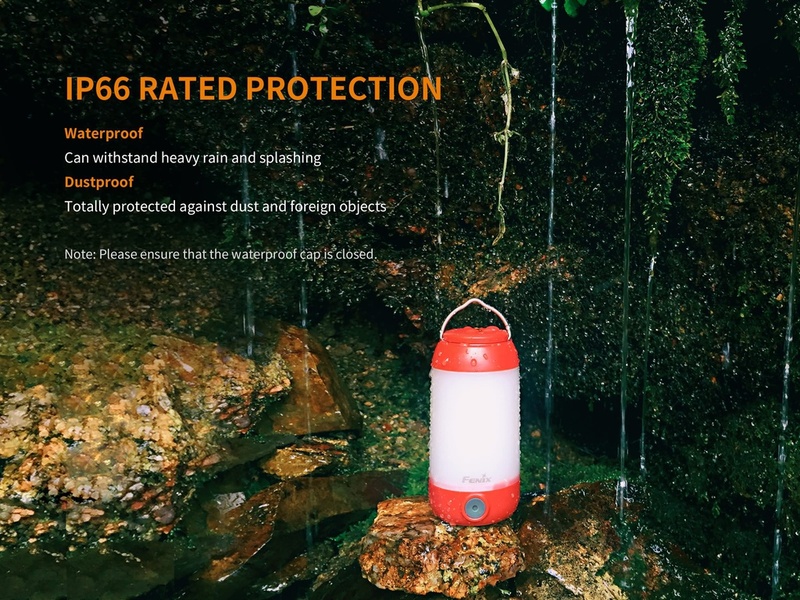 Fenix CL26R is a high-performance rechargeable camping lantern. 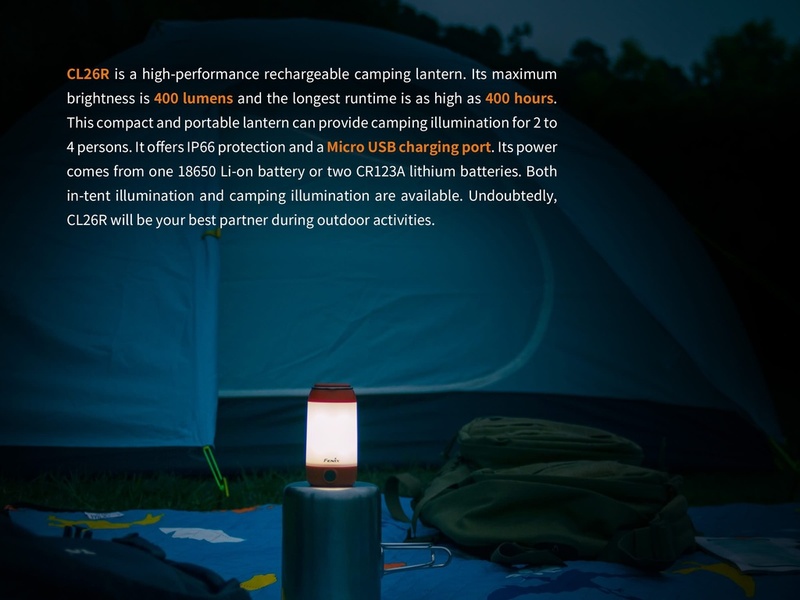 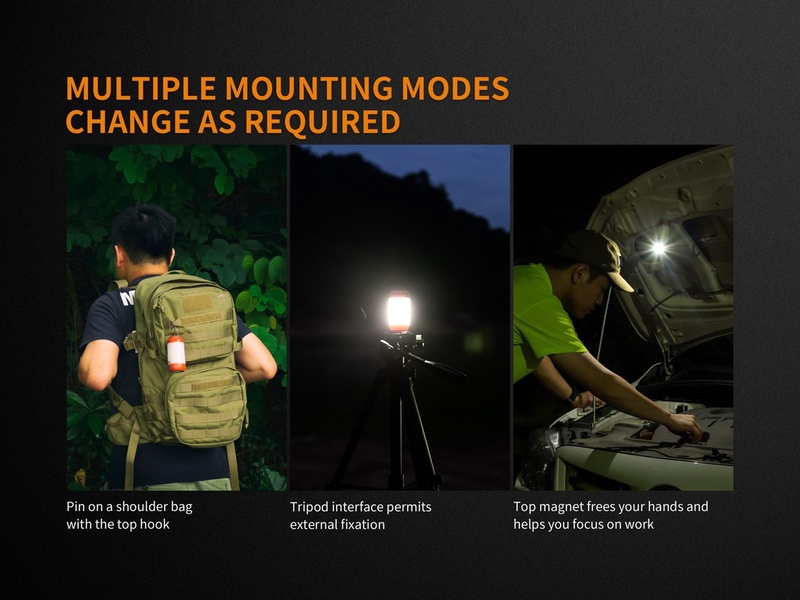 Its maximum brightness is 400 lumens and the longest runtime is as high as 400 hours. 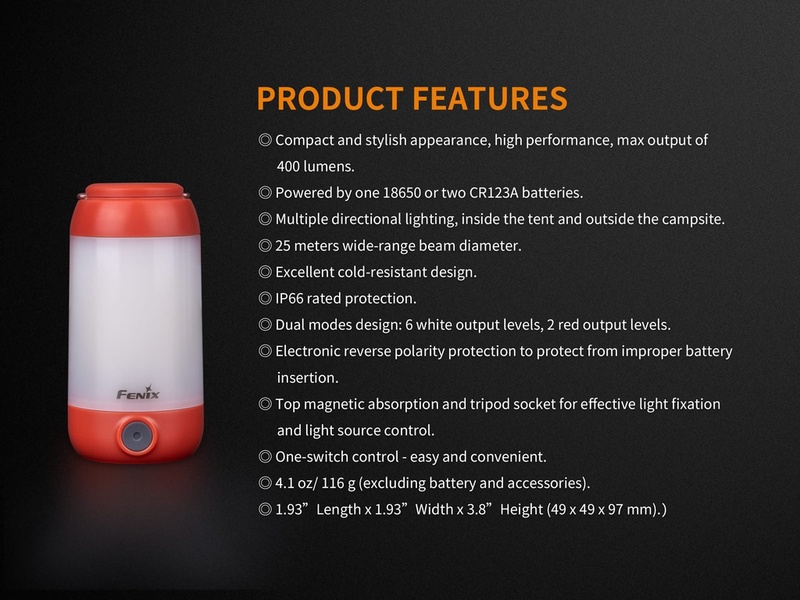 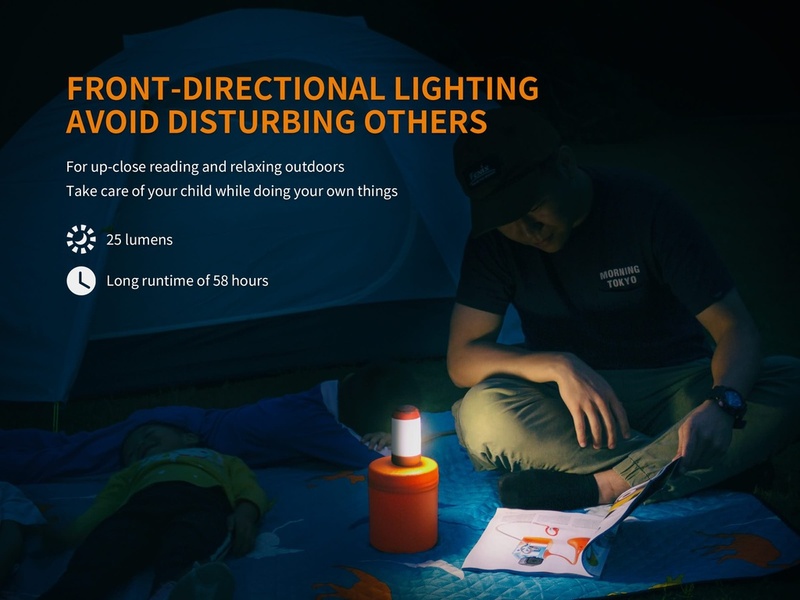 This compact and portable lantern can provide camping illumination for 2 to 4 persons. 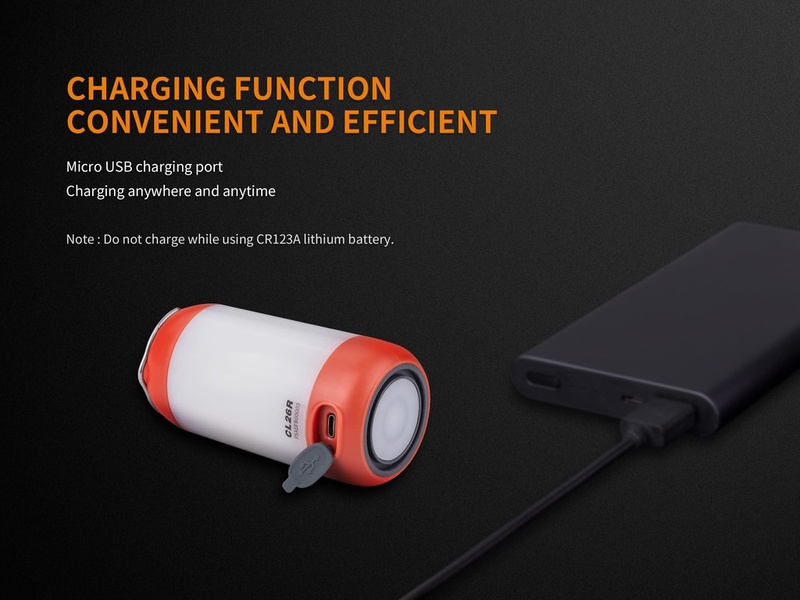 It offers IP66 protection and a Micro USB charging port. 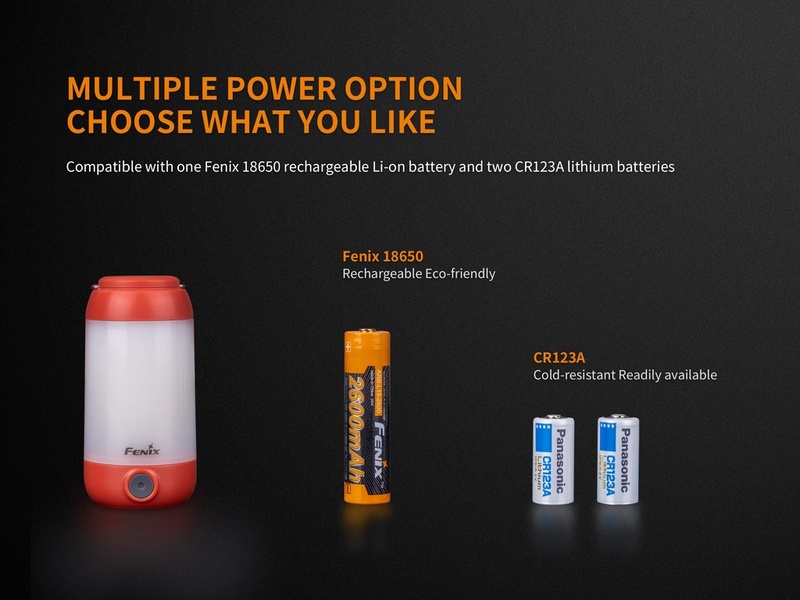 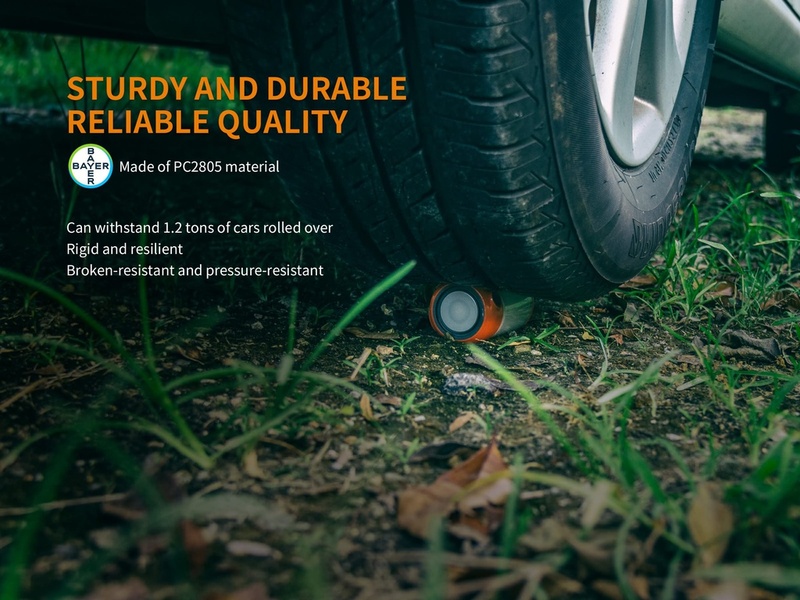 Its power comes from one 18650 Li-on battery or two CR123A lithium batteries. 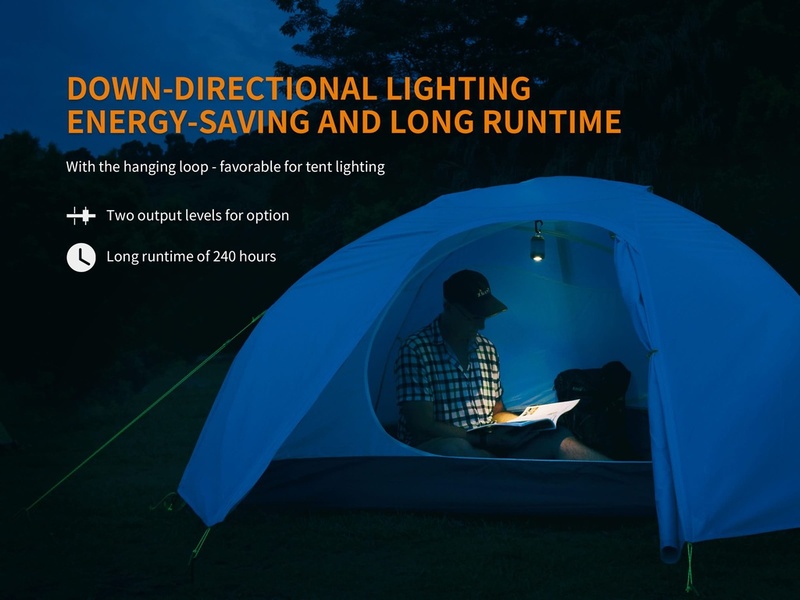 Both in-tent illumination and camping illumination are available. 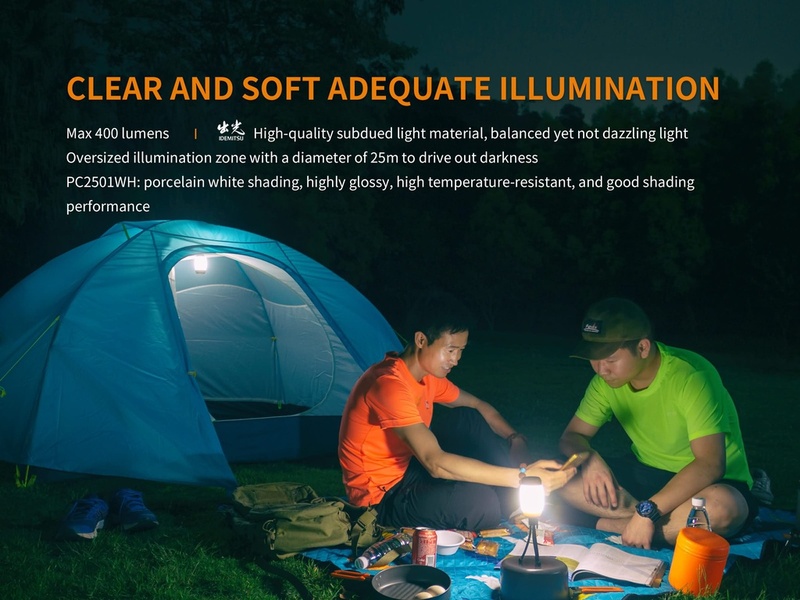 Undoubtedly, CL26R will be your best partner during outdoor activities. 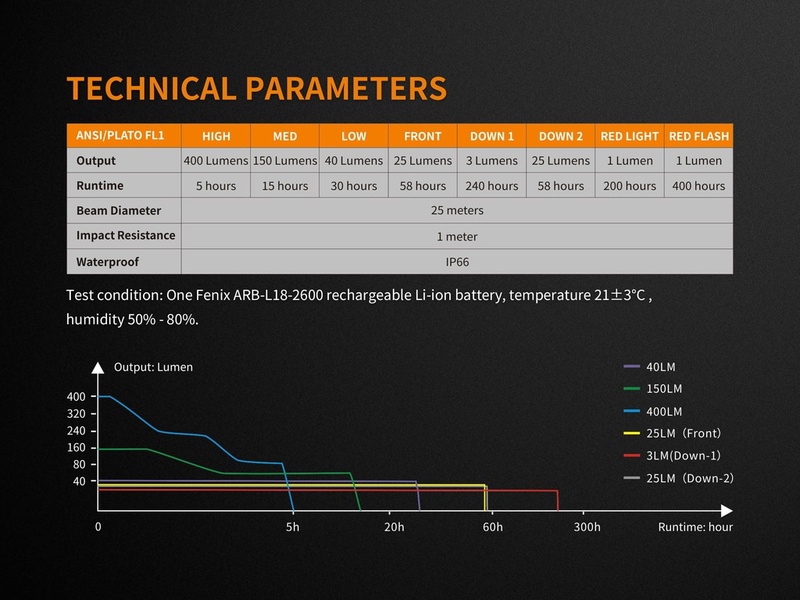 Powered by one 18650 or two CR123A batteries. 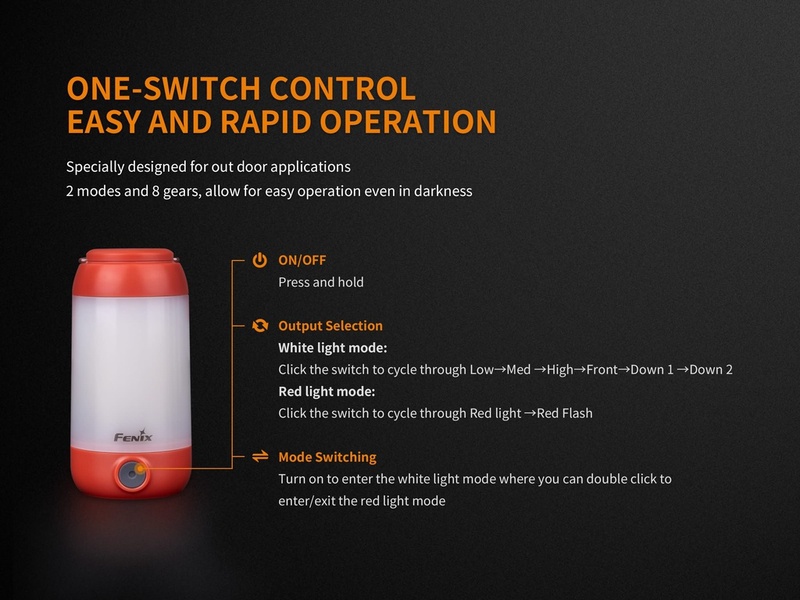 One-switch control - easy and convenient. 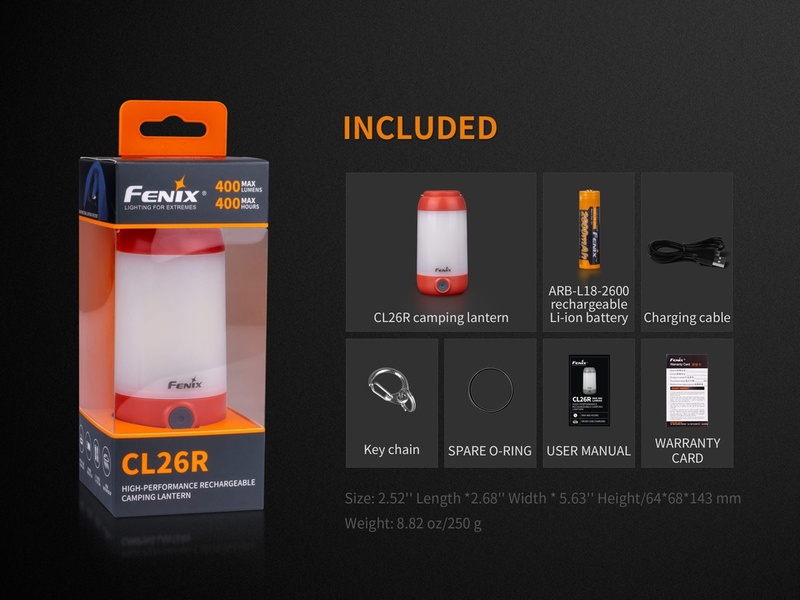 4.1 oz/ 116 g (excluding battery and accessories). 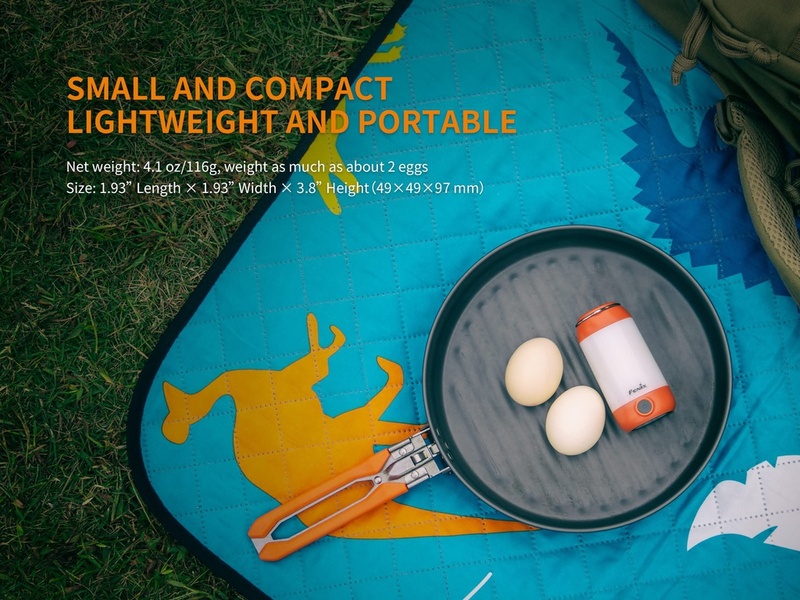 1.93’’ Length x 1.93’’ Width x 3.8’’ Height (49 x 49 x 97 mm).